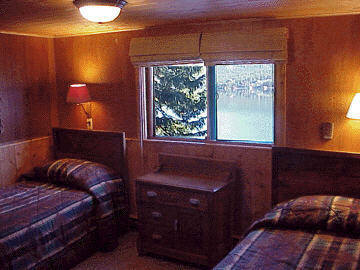 This is the twin bedroom (2 beds) on the lake side of the cottage. It has a great view of the lake. There is an antique water stand under the window now. It's not shown because I had to return the digital camera before I was able to get it refinished and moved in place.